The Philip Omondi Preseason Invitational will return this Friday and Saturday as four teams continue preparations for the upcoming season. The tournament which has taken place in the last two years will see its third edition at the StarTimes stadium, Lugogo. Hosts KCCA FC, two time winners Proline, Uganda Premier league new comers Nyamityobora and Big League money bags Wakiso Giants will compete as they gear up for the 2018/19 season. The first fixture of this year’s edition will see Nyamityobora take on defending champions Proline FC at midday on Friday before KCCA FC tussles it out with Wakiso Giants in the late kick-off. On Saturday, Ibrahim Kirya’s Wakiso Giants kick-start the day against Proline while KCCA FC takes on Nyamityobora. 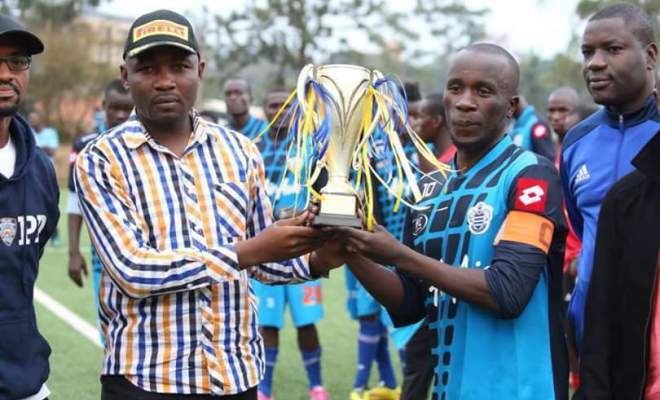 The Philip Omondi Invitational tournament is an annual event played in the memory of arguably Uganda’s greatest footballer of all time-Philip Omomdi. It features four teams including KCCA FC for which Omondi played, Proline (have won each of the first two tournaments) and two other clubs who enter by virtual of invitation. Proline won the last edition after collecting seven (7) points in total. Bright Stars, Maroons FC, Proline FC and KCCA FC.